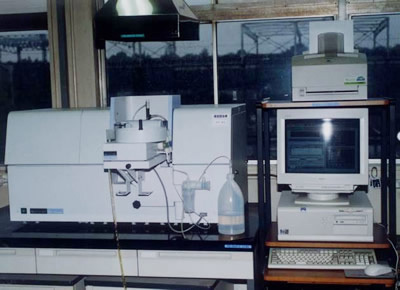 [Atomic absorption photometer] Daido Bunseki Research Inc.
Acid-degraded solution samples are sprayed in acetylene and nitrous oxide gas flames. The measured element's atomized light is irradiated with light of the same wavelength, and the rate of absorption is measured. A higher absorption rate means a higher rate of content.